After a disappointing loss in Jacksonville, many fans in New England myself included, just figured the team would do what they always do: make the proper adjustments and get the win the next week. 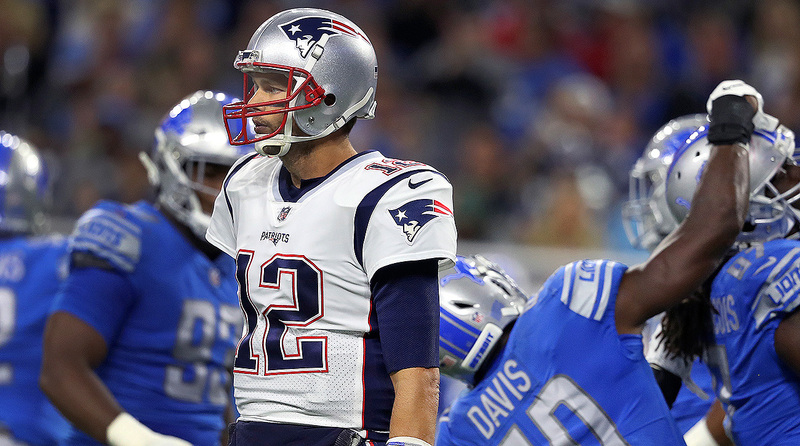 Unfortunately, the Pats dropped another head-scratching loss to the 0-2 Detroit Lions. Since 2003, the Patriots were 45-6 after a regular season loss, and I really thought that record would improve heading into Detroit. It could've just been me, but when the Lions were dominating time of possession in the first half (21:26 to New England's 8:34) it appeared the team just didn't have the sense of urgency you think a team with three consecutive three-and-outs should have. I will give credit to Deatrich Wise who showed a lot of excitement after a tackle for a loss in the run game, which was followed by an interception by Matt Stafford. It looked like the Pats were going to turn it around, but their lack of offensive weapons showed and Brady threw a tough interception in the direction of double covered Phillip Dorsett. I hate calling any of the first four games a must-win, but New England really needs to turn it around quickly as they take on the 3-0 Dolphins this Sunday. September is always a tough month for Patriot football but hopefully Josh Gordon can start this week to give the Patriots a 2-2 record when Julian Edelman returns.